That is true. And this is also true. Both sides of the spectrum are rare and valued: colorless diamonds as well as diamonds outside the normal color range. As a rule, the value of fancy color diamonds increases with its color intensity. Color is also determined by the diamond’s primary and secondary hues. Although both fancy color diamonds and gemstones have distinct color, diamonds have the edge because they have fire return. In other words, only diamonds can reflect light with a special sparkle. Fancy colored diamonds give engagement rings and jewelry a unique, vibrant touch. Choose from thousands of fancy color loose diamonds to set in an engagement ring or fine jewelry piece on JamesAllen.com. Yellow is the most popular shade of fancy colored diamonds, chosen by Carrie Underwood, Kelly Clarkson, and tons of others as engagement ring center stones. Fancy yellow diamonds get their color from their nitrogen content. They are often called “canary yellow diamonds,” after the small yellow bird. Yellow diamonds are a beautiful choice, especially for those seeking more affordable fancy color diamonds options. Pink is also a favorite choice for fancy colored diamonds, chosen recently by Cardi B for her show-stopping engagement ring halo and by Blake Lively for her center stone. 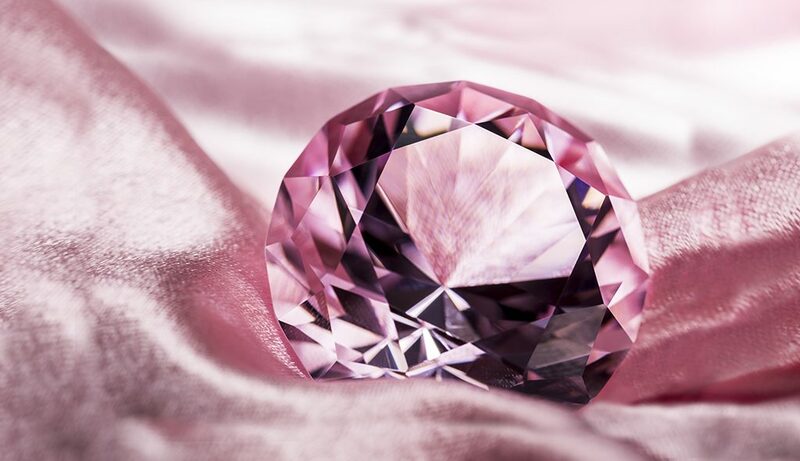 Pink diamonds are extremely rare. They are often called Argyle Diamonds, named after the Argyle diamond mine in Australia where most high-quality pink diamonds are sourced. Not all pink diamonds are Argyle diamonds — every Argyle Mine Diamond comes with an authentic grading certificate. Talk about improving with age — green diamonds are formed over millions of years of beta and gamma ray infusion. As you can imagine, then, they’re among the rarest colors of diamond. Green classically represents growth, nature, and comfort — green colored diamonds convey that all while reflecting light. Blue diamonds are extremely rare and are caused by their levels of boron. Remember that absurdly large Heart of the Ocean blue diamond from Titanic? The diamond as well as its history of being owned by Louis XVI are fictional, but they’re based in truth: blue diamonds have been sought out by royals and nobility for centuries. For more colors and cuts: our collection of Fancy Color Diamonds. Looking for other stones with a splash of color? Read up on Blue Sapphires and Red Garnets. Obsessed with one (or more) of the diamonds from this post? Let us know in the comments below or on our social channels: Instagram, Facebook, or Twitter.